For Modern Acupuncture, it's in the delivery. Our nationwide locations offer the natural health benefits of acupuncture in highly accessible locations. You are likely to find us next to your favorite neighborhood grocer. 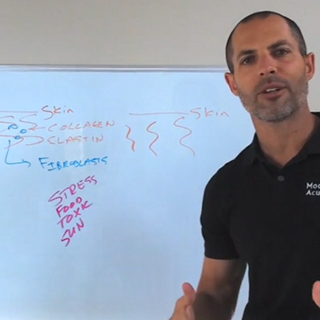 In thirty minutes or less, experience healing, escape, relaxation, and a balancing of your body. 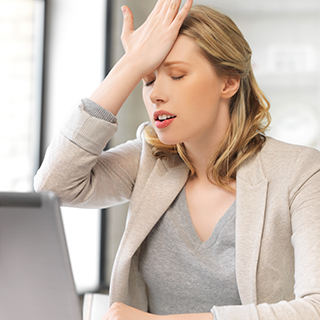 In your hectic world, Modern Acupuncture is a necessary retreat into proven wellness. What makes a practice that is thousands of years old, modern? For Modern Acupuncture, it's in the delivery. From the moment you walk through our door, all five senses encounter an environment of relaxation and healing. Natural, earthy colors wash over you. The soft lighting allows your eyes to relax. It’s quiet. The silence brings peace. If you’re a first timer, you will be given a tablet that will walk you through what to expect during your visit. An understanding of the process is crucial for a true escape into healing. Our licensed acupuncturists are trained to guide you through each treatment to ensure your peace of mind. We believe that acupuncture should be a convenient and approachable part of everyday life. The sheer volume of conditions that acupuncture can help treat is incredible. Acupuncture is proven to help those suffering from diabetes, insomnia, chronic pain, PTSD, stress and many other conditions that can negatively affect your ability to live life to its fullest. There have even been examples of acupuncture making cancer treatments more effective. There’s no age limit, no drugs, no expensive testing. Age doesn’t matter. Son, father, grandmother – each generation can take a path to better wellness and health. This type of care should be available in a much more accessible manner – and now it is. Texas is buzzing with excitement over the newest Modern Acupuncture Kingwood location. Modern Acupuncture™, the first franchise to make the natural health and cosmetic benefits of acupuncture available to people in an accessible and affordable delivery, is now open in Dana Point, CA. Modern Acupuncture™, expanding nationwide and offering the natural health benefits of acupuncture in highly accessible locations, is now open in Plano, TX. Modern Acupuncture™, the first franchise to make the natural health and cosmetic benefits of acupuncture available to people in an accessible and affordable delivery, is now open in Dallas, TX. Modern Acupuncture™, expanding nationwide and offering the natural health benefits of acupuncture in highly accessible locations, is now open at Sugar Land Lake Pointe in Sugar Land, TX. Modern Acupuncture™, the first franchise to make the natural health and cosmetic benefits of acupuncture available to people in an accessible and affordable delivery, is now open at West Lake Hills in Austin, TX. Modern Acupuncture™, expanding nationwide and offering the natural health benefits of acupuncture in highly accessible locations, is now open at Univsersity Village in Colorado Springs, CO.
Modern Acupuncture™, the first franchise to make the natural health and cosmetic benefits of acupuncture available to people in an accessible and affordable delivery, is now open at the Blakeney Shopping Center in Charlotte, NC. World renowned acupuncturist and educator Robert (Bob) Doane has joined Modern Acupuncture™, the first health and wellness franchise to deliver the natural health and cosmetic benefits of acupuncture to the masses through first class retail locations nationwide. Modern Acupuncture™, a pioneer health and wellness concept to make the natural health and cosmetic benefits of acupuncture accessible and affordable is now open in north Scottsdale, AZ. 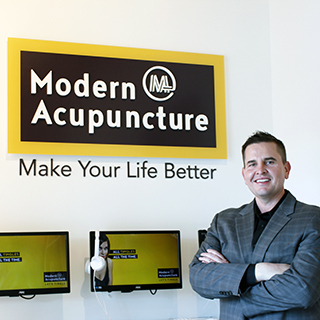 Modern Acupuncture™, a new franchise transforming the alternative medicine market and acupuncture industry, announced today its first location and that six regional developer licenses have been awarded or are pending across the U.S.